With more than 70k active users using Sampression Lite we have decided to offer them support through our own website where users can now directly download the theme. Users can now download the latest Version (1.4.1.1) of the theme from our website. 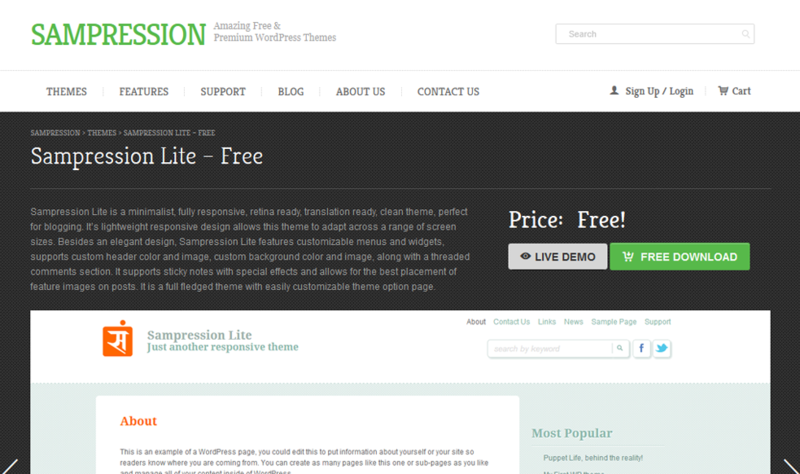 You can no longer download our Sampression Lite from WordPress. Our theme has been suspended in the directory due to the inclusion of a script (jQuery Isotope) that is released under a GPL-incompatible license. Thank you for using our themes and thank you for all your support.